It was 1993 when Jeff Marshall, a 35-year-old born and raised Houstonian, had enough of the Texas heat. So he hitched up his motorcycle and headed for Seattle. Except he never quite got there. 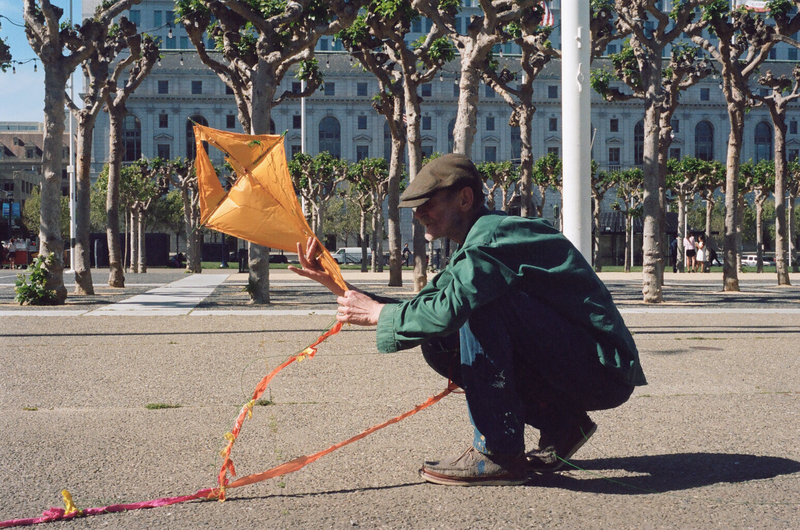 Twenty-five years later, Jeff is an irreplaceable member of his Tenderloin community, a painter with a contagious passion for kites. When his creative impulses get bigger than his one-room apartment, he takes to the streets and flies his paintings across the San Francisco skies, proving art can thrive in even the most improbable places. In the city, Jeff found inspiration for his work. And as he painted, his artistic vision transformed, shifting away from the technological demands of photography to more free-form paintings, informed by whatever catches his eye. Over the years, Jeff watched the city’s artistic character change. 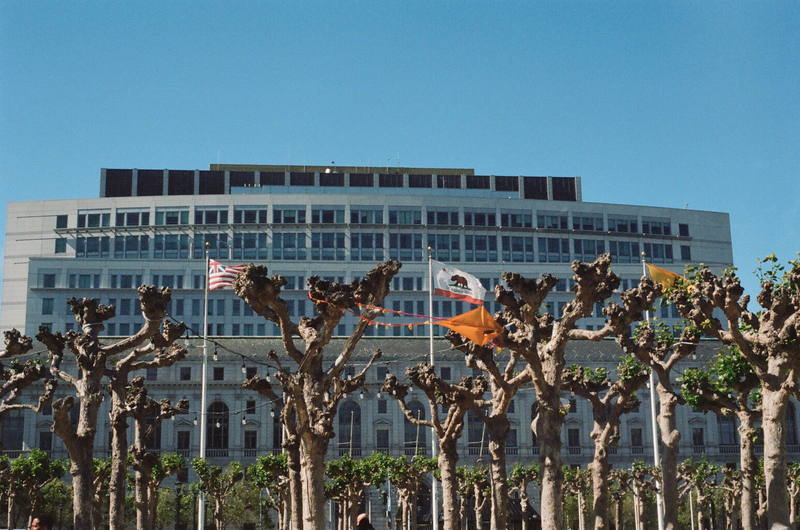 Even in 1993, San Francisco wasn't cheap, but thanks to the current tech boom and sky-rocketing rents, it's ever-harder for artists to make ends meet. As high-rise apartments and new restaurants move in, artists are steadily priced out. 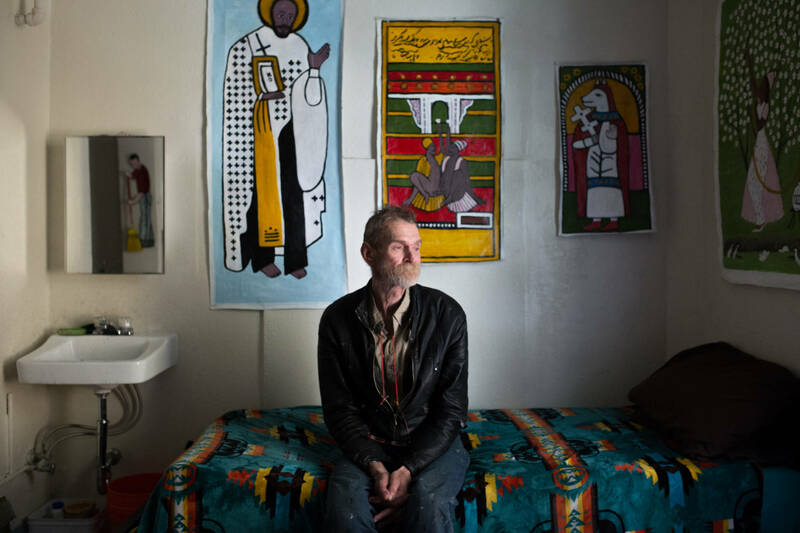 Jeff bounced around the city, renting $400-per-month office spaces and living in his studio until he finally found a home in the Tenderloin, one of San Francisco’s densest neighborhoods. Despite its reputation for crime, the Tenderloin has a rich history—entertainment and the arts are woven deeply into its cultural fabric. This, coupled with its low-cost housing options, allows the neighborhood to resist the gentrification seen throughout the rest of San Francisco. 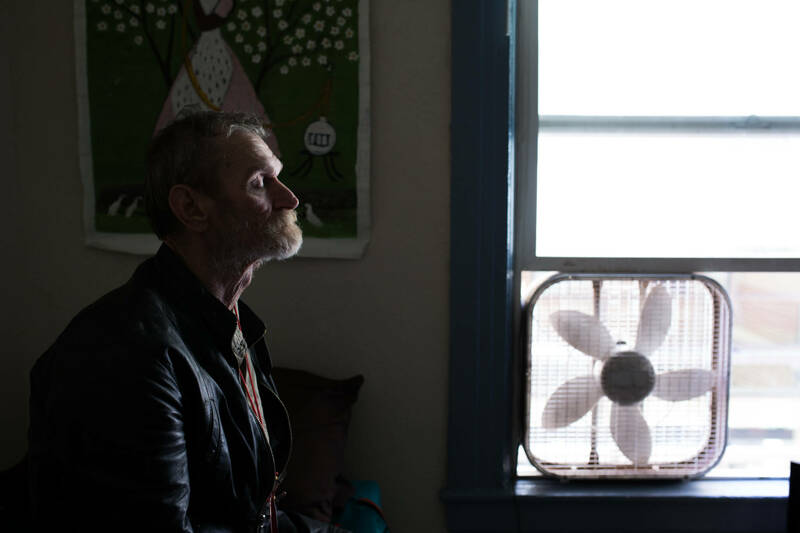 Jeff now lives in the Boyd Hotel, a single occupancy resident hotel, or an SRO. 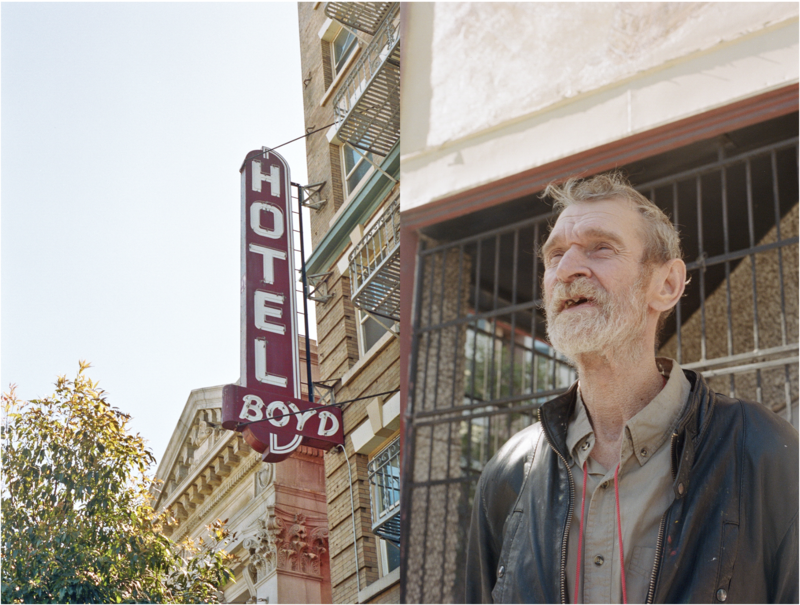 Such repurposed hotels make up a large portion of the Tenderloin’s housing stock; nonprofit housing programs and zoning laws keep rents below market rate and a viable option for artists like Jeff. SRO rooms are like a standard dorm room: a single bed, a sink and a desk. The Boyd has 79 units with a communal bathroom on each floor and a laundry facility to serve its residents. Even securing a room in an SRO is a long, tedious process. Obtaining a larger unit, like Section 8 public housing, takes even longer. 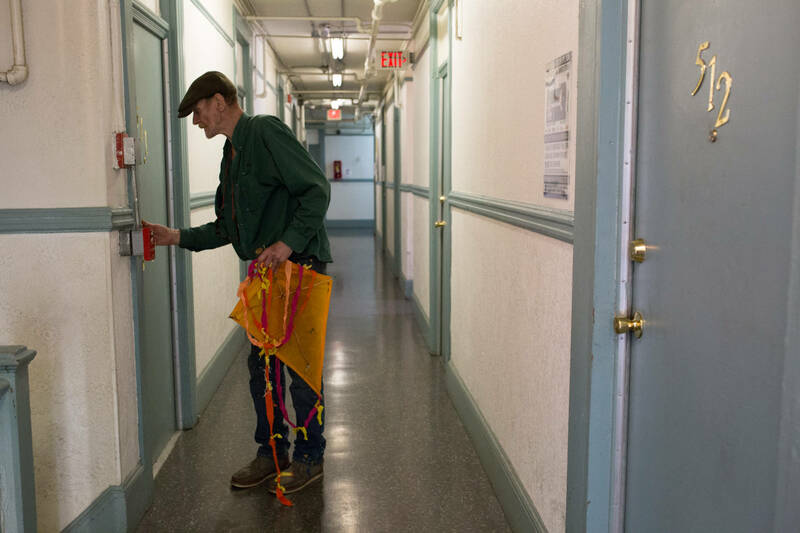 Jeff has been on the San Francisco’s Housing Authority’s list for 13 years—since he first moved into the Boyd. But space limitations don’t quell his urge to create. 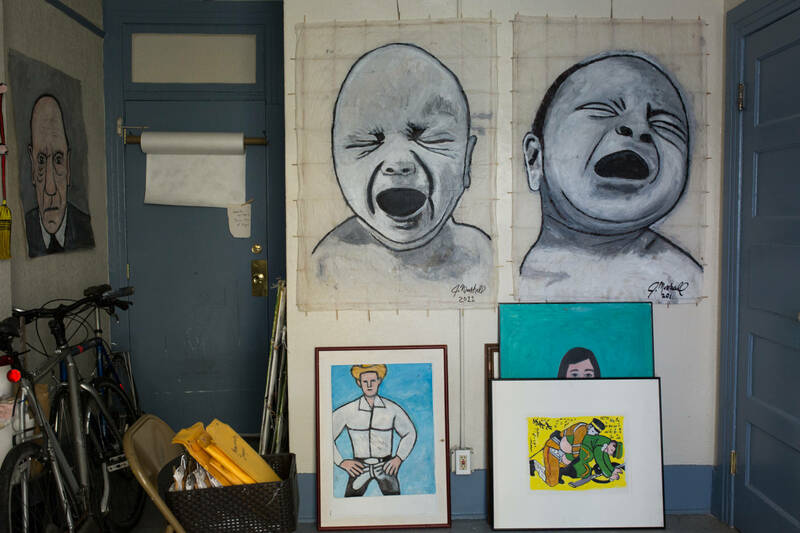 Jeff’s walls are plastered with artwork: cartoon-like portraits of William Burroughs and Jimi Hendrix, abstract canvases of repeating number nines, and next to his single window, a burlesque-style portrait of two men, posing in lingerie. 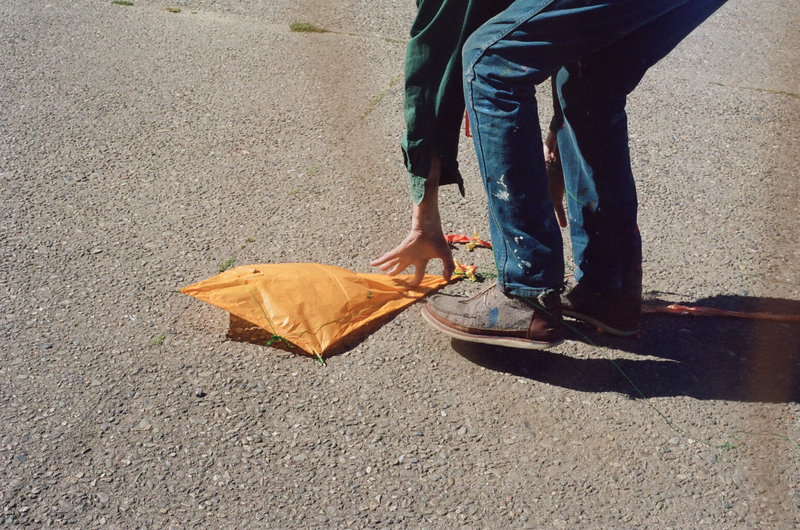 His small space also led him to get outside into nearby parks and revive a favorite childhood activity: kite flying. 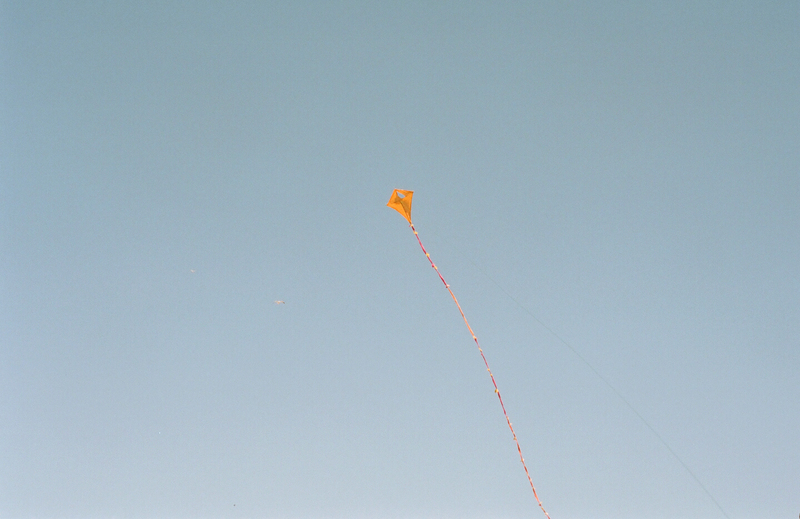 In American culture, a diamond shaped kite, an “Eddy” kite, is the most iconic and recognizable style. These are also the quickest and easiest to create—Jeff can whip up an Eddy in less than 10 minutes. 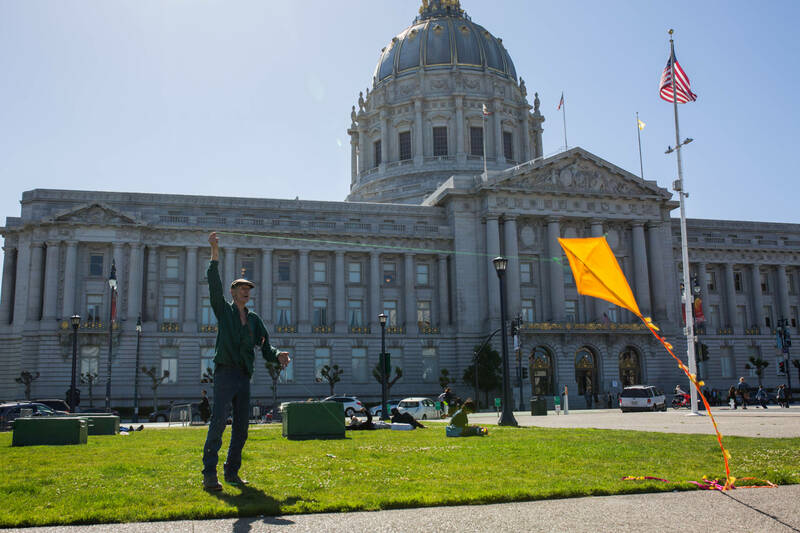 But after researching kite flying around the world, he realized the rectangular-shaped format of Chinese kites was the perfect surface for a piece of art. Experimenting with bamboo sticks and tape, Jeff taught himself how to make rectangular kites. The format allows Jeff to combine his two passions, painting everyday objects and notable figures (like Barack Obama) on the three-dimensional "canvas" and flying them across San Francisco. But he didn’t stop there. Jeff realized the rectangular shape also enabled him to build and paint larger works, so he stepped up his game. 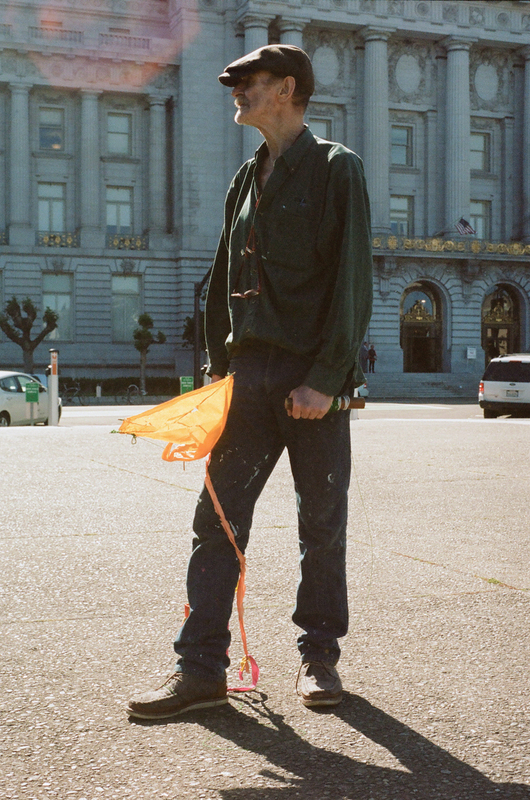 His biggest kite to date is an 8-by-14-foot portrait of Harvey Milk, exhibited at the de Young during one of the museum's community nights. 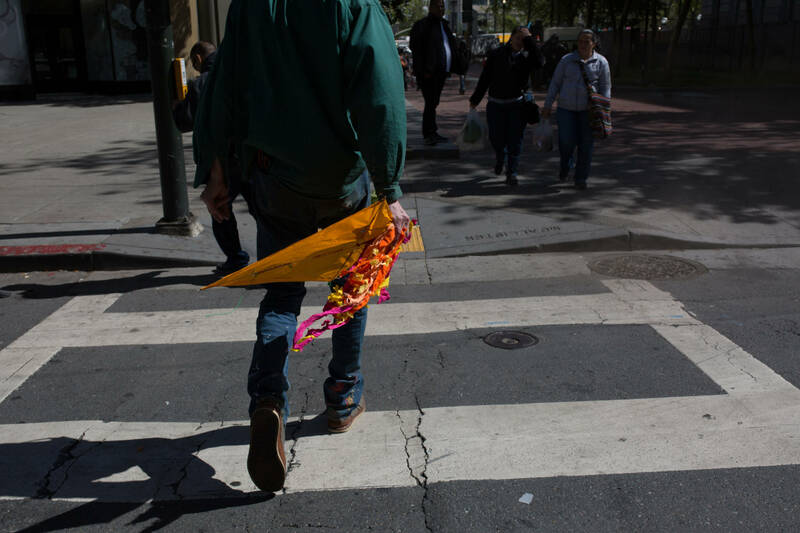 Jeff's kite flying has earned him near-celebrity status in the Tenderloin. 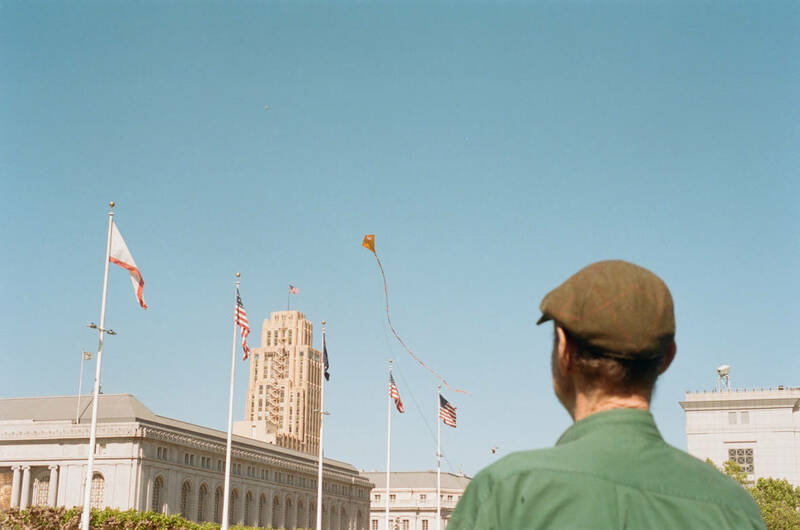 Rick Darnell, community arts manager at CounterPulse and a long-time neighborhood resident, refers to Jeff as a “Tenderloin Treasure.” Eager to share his childhood joy of kite flying with others, Jeff hosts kite-making workshops at Hospitality House, a free community arts center in the Tenderloin.